Perforated sheets can be used widely and efficiently for various applications in construction, process industry and the subcontracting and metal product industry. Typical applications in steel construction are facade, hand rail and ceiling solutions. In industry, perforated sheets are used for filtering, screening, drying and sound absorption. Industrial design can also utilize perforated sheets in the automotive, household appliance and ICT industries. STW Steel provides customized solutions for these needs according to the customer’s requirements and needs. 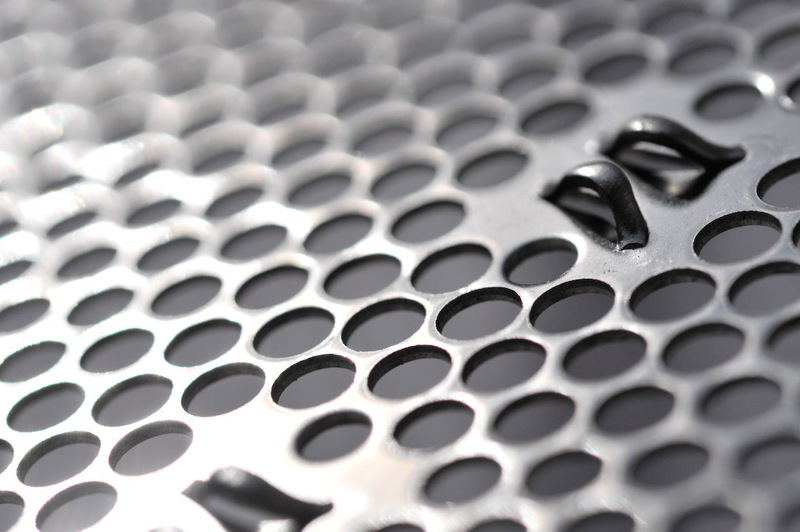 STW Steel’s perforated sheets are manufactured through the punching process. Sheets can be further processed by cutting them into shape, by bending and welding, and through various surface treatments. The perforation can be round, square, rectangular, clover or a customized shape according to the customer’s needs. Perforated sheets can also be embossed. The range of products that can be manufactured includes over 2,000 patterns, and there are over 500 different sheet types produced out of different materials available from stock. In architectural solutions and technical industry projects , we utilize the manufacturer’s engineering and design know-how as well as our extensive network of Finnish partners.